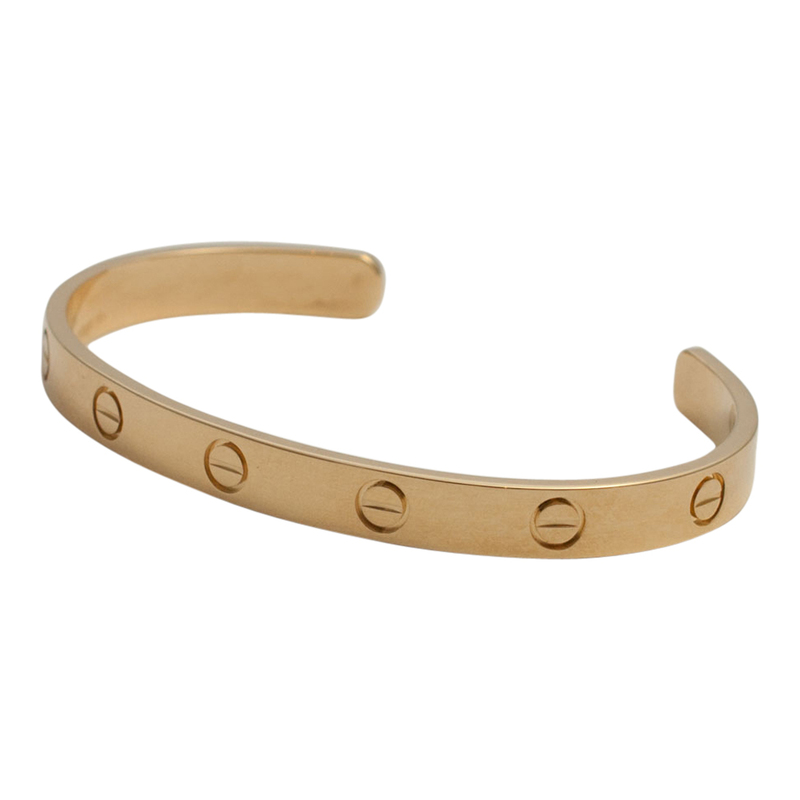 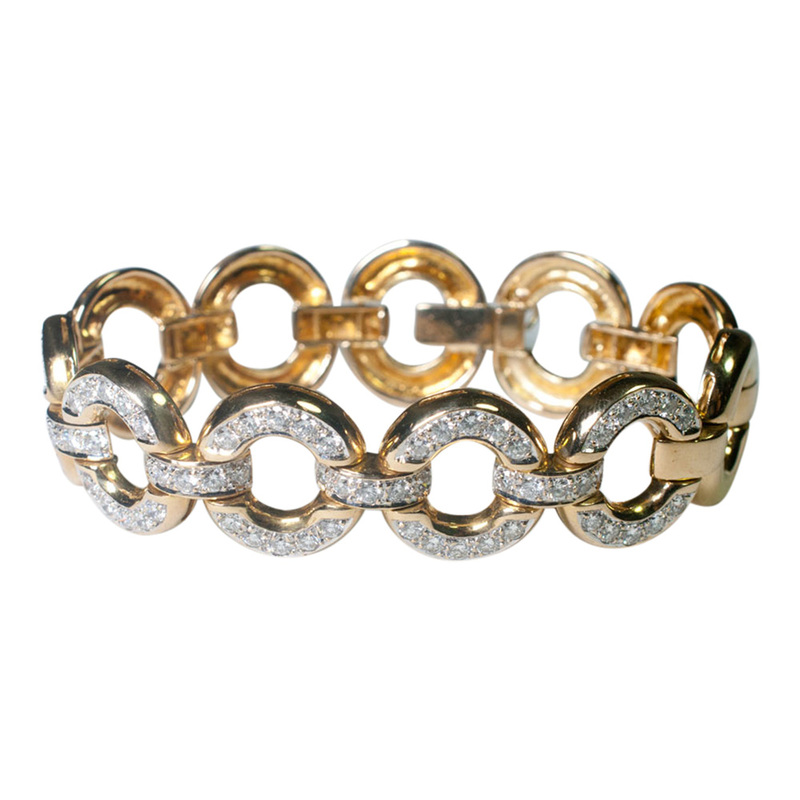 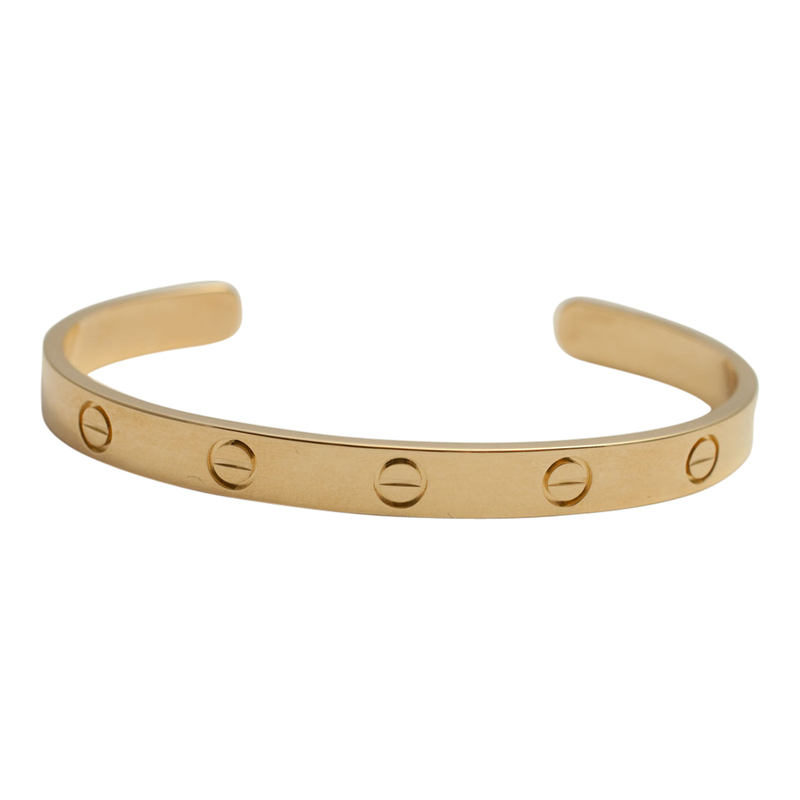 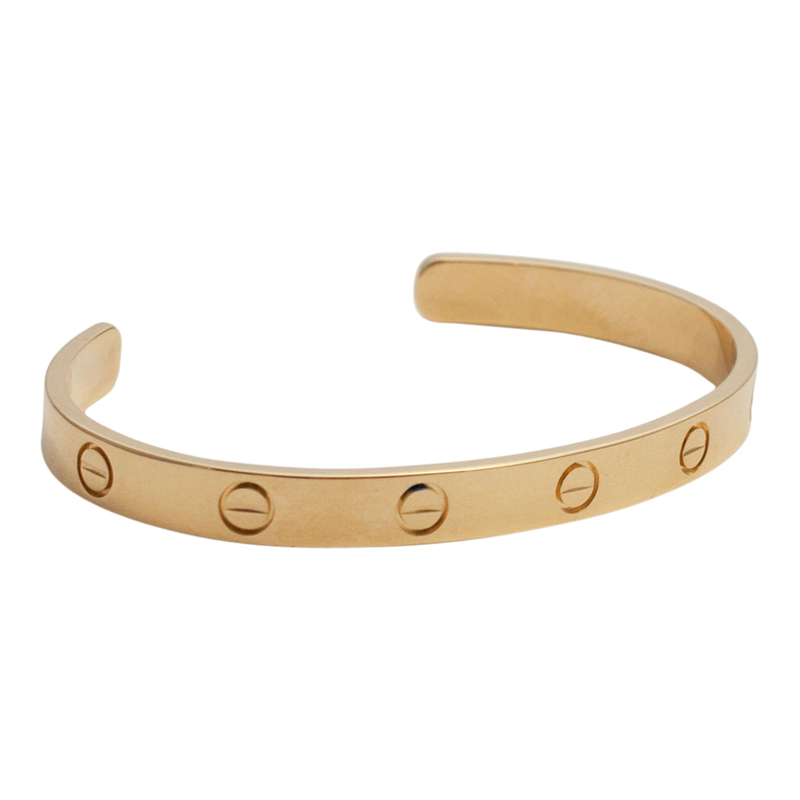 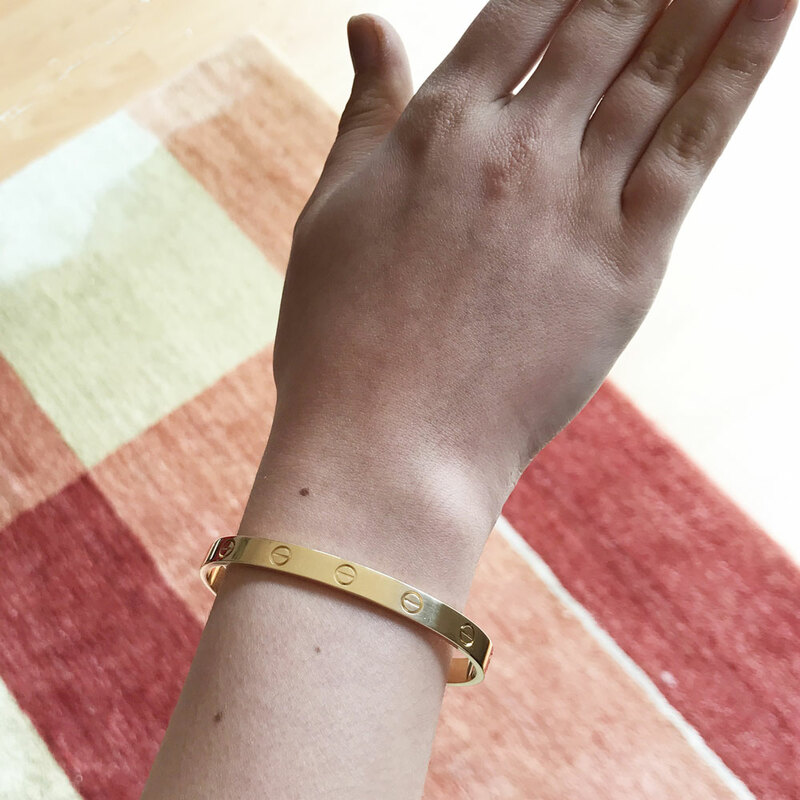 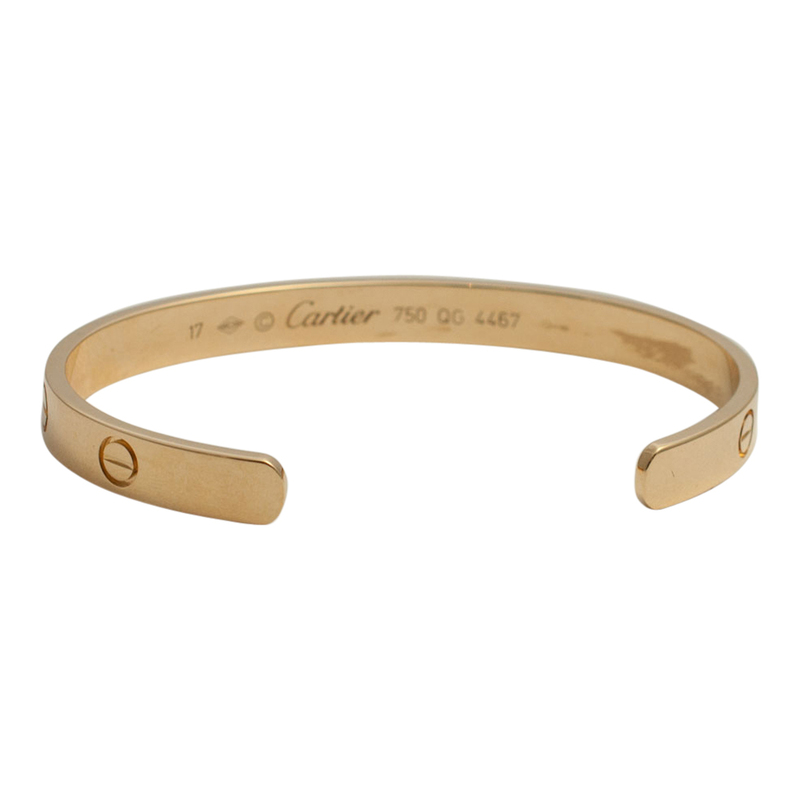 Cartier 18ct yellow gold open Love bangle; Size 17, signed Cartier, 750, numbered and stamped with the Swiss convention mark which guarantees its authenticity, made in Switzerland by Cartier. 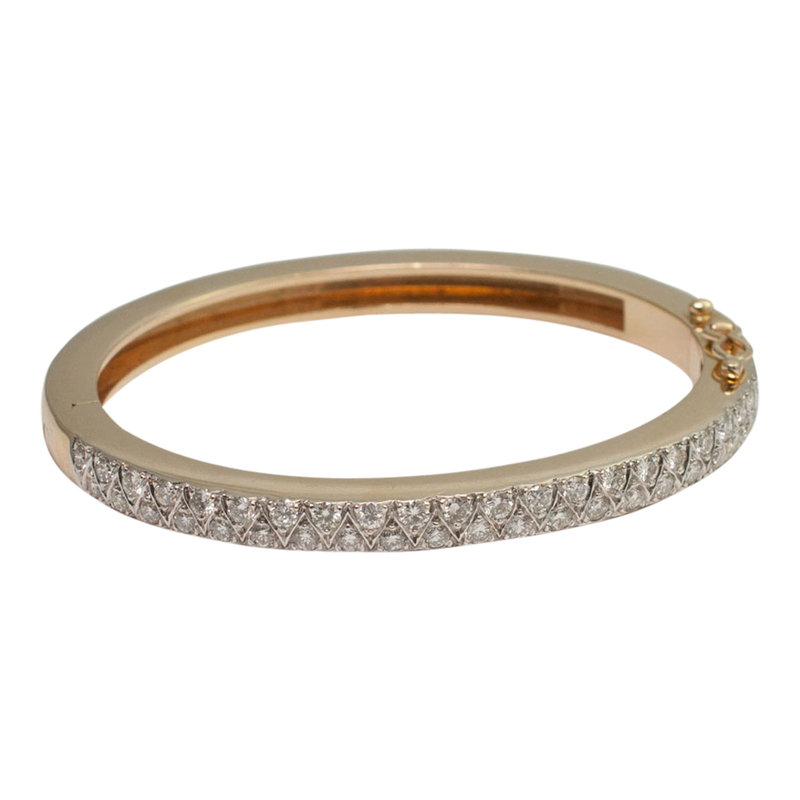 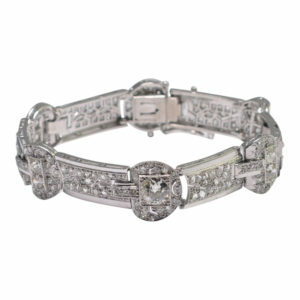 This bangle has been re-polished. 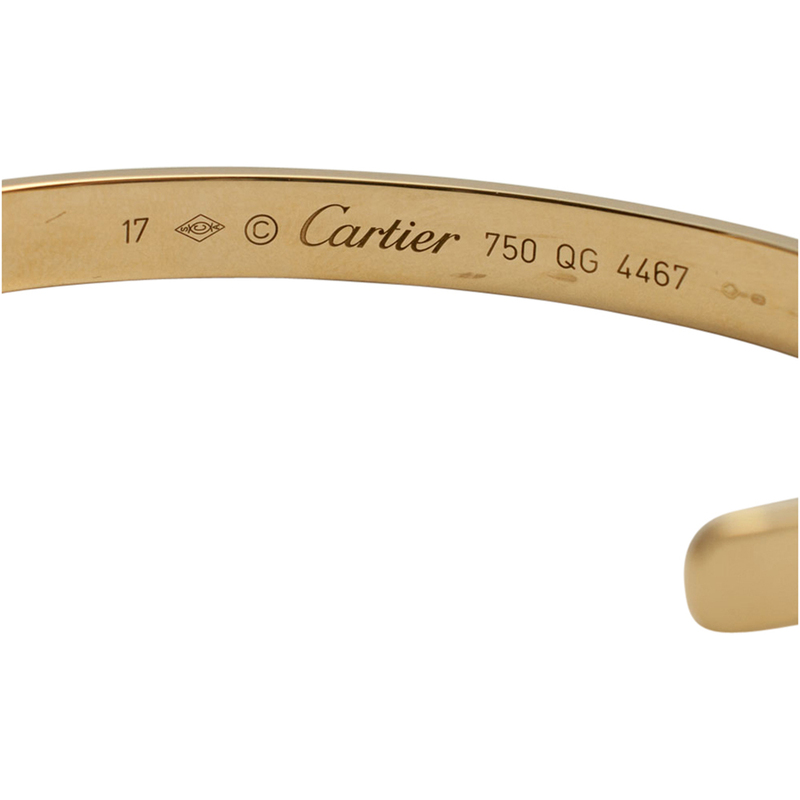 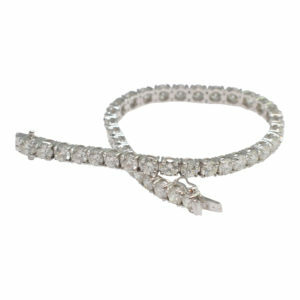 Weight 23.5gms.